In his address to the 1912 Ohio constitutional convention Theodore Roosevelt told delegates, "the initiative and referendum should be used, not as substitutes for representative government, but as methods of making such government really representative. Action by the initiative or referendum ought not to be the normal way of legislation; but the power to take it should be provided in the constitution, so that if the representatives fail truly to represent the people on some matter of sufficient importance to rouse popular interest, then the people shall have in their hands the facilities to make good the failure." I think most Alabamians would say that our legislature has failed to represent us on numerous matters. Would you like to comment on this? Is is a certainly that we cannot trust our legislature in its present makeup to put the will of the people over their own self interest. When sexual assaults started rising in Orlando, Fla., in 1986, police officers noticed women were arming themselves, so they launched a firearms safety course for them. Over the next 12 months, sexual assaults plummeted by 88 percent, burglaries fell by 25 percent and not one of the 2,500 women who took the course fired a gun in a confrontation. For more of this story, click here. What do you think? Post your comments below. Jefferson County to Creditors: We're Broke! Jefferson County told creditors in a filing Thursday night that it could offer no assurances it can meet its sewer debt obligations. Soaring interest rates mean it may not be able to make payments on $3.2 billion in sewer bonds. It may not be able to post $184 million in collateral required when credit-rating agencies lowered the grade for its interest-rate swap agreements. Its sewer debt service reserve fund was now underfunded because of the credit downgrade, and the county could not guarantee it could properly fund or insure it. Editor's Note: Let this be a lesson to politicians who mortgage our children's future for their present political pleasure. MONTGOMERY - On disputed voice votes Wednesday, a state lawmaker who works for a community college rammed through for final legislative action a bill that would give legislators power to overturn state school board rules for two-year colleges. The action by Rep. Terry Spicer, D-Elba, an employee of Ozark-Enterprise Community College, drew harsh words from some committee members. They charged Spicer with ignoring repeated pleas for roll call votes and then using his position as acting chairman to declare the outcome of each vote in favor of the legislation. "I'm not very pleased with the way this committee meeting went," said Rep. Mike Ball, R-Huntsville. Ball sat next to Spicer during the meeting and at one point jumped from his chair and, leaning toward Spicer, waved his hands and arms repeatedly asking Spicer for a roll call vote. Spicer ignored the move. Note: This is an outrage! The very legislators who abuse the system are trying to take over control so they can continue to use the system for their and/or their family's financial gain. This is a perfect example of the fox watching the hen house. Republicans are preparing for a floor fight. We need to make our voices known by calling our representatives and insisting that this bill be defeated. The first thing the legislature will do if it passes is to reverse the ban on legislators working for the two year system passed by the state school board last year. What do you think about this? Post your opinions! 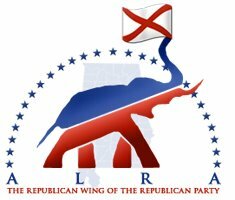 MONTGOMERY -- Although many state legislators agree that Alabama's 1901 Constitution is antiquated and should be replaced, they do not expect a bill allowing voters to decide whether they want a convention to rewrite the document to pass this year.